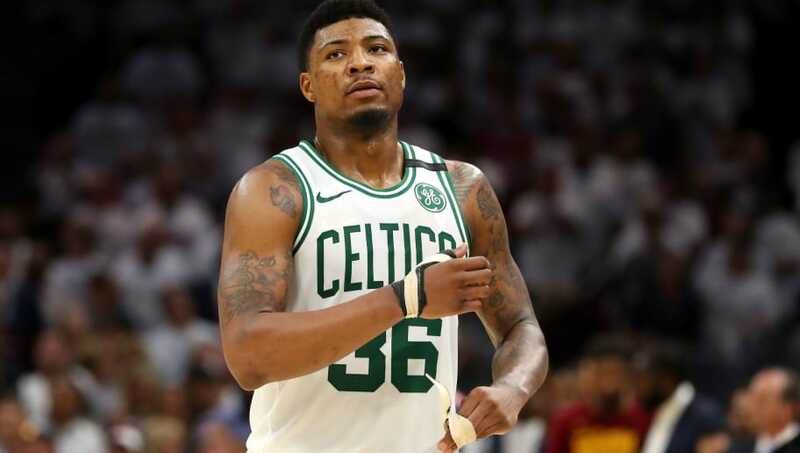 ​Marcus Smart had his ​qualifying offer of roughly $6 million tendered by the Boston Celtics earlier this offseason, but the 24-year-old guard will surely get more ​expensive offers from other teams that need him. But still, the Celtics and Smart seemed to have built a solid relationship over the last four years that would lead one to believe that Boston would try and re-sign the restricted free agent, or at least talk to him about it. Apparently, that does not appear to be the case. "He would have thought there would have been some kind of three- to four-year deal from them to show they’re interested," as source close to the matter explained. But rather, Danny Ainge has not reached out to Smart at all. To be fair, the Celtics don't technically have to reach out to Smart. They can match any offer another team gives him, or choose to let him go on their own. Still, Boston must want to try to sign Smart for cheaper and potentially long term. Unless, which could very well be the case, Smart is not apart of Boston's plan for the future. Either way, he's given his all to this team, and to be ghosted so far is pretty heartless. The defensive standout finally began to shoot with consistency this season, but this may have also been his last as a Celtic.